India has a rich cultural heritage and this year it's your time to experience the same in your own city, Johannesburg at your own preferred location of Montecasino, Fourways. TGS events is bringing this land of mystic, mysterious and magical country within your reach. 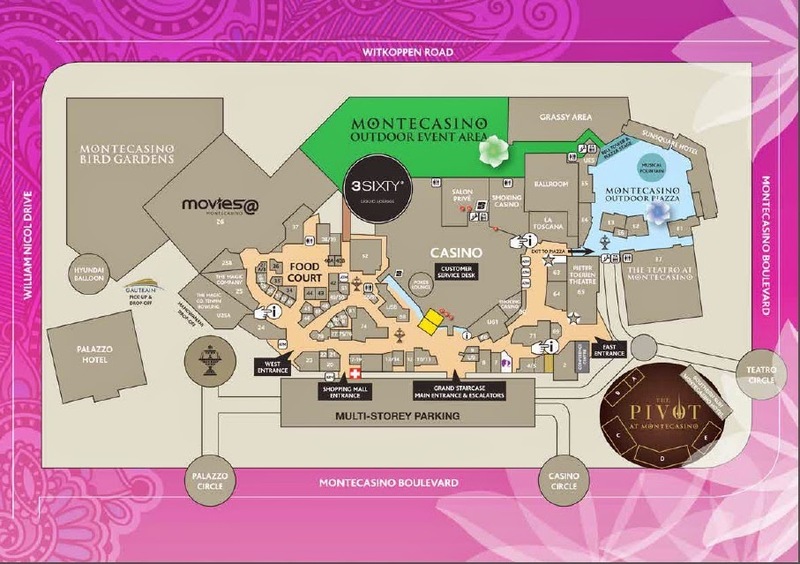 The three day festival starts at Montecasino on 28 Nov to 30 Nov 2014. It will be a true feast for the senses to enjoy the magic and splendor of India in Johannesburg for all those who wants to travel to India once in their lives. This unique event will celebrate the many riches of Indian culture – showcasing its alluring heritage of music, food, dance, fashion, trade and artwork. The landmark festival will not only provide several days of entertainment and relaxation, but it will empower small businesses and local traders by facilitating their participation as exhibitors and suppliers in a high profile event. In addition, the event will provide a rare and valuable networking opportunity for businesses of all sizes, government departments, community leaders, NGOs and others. 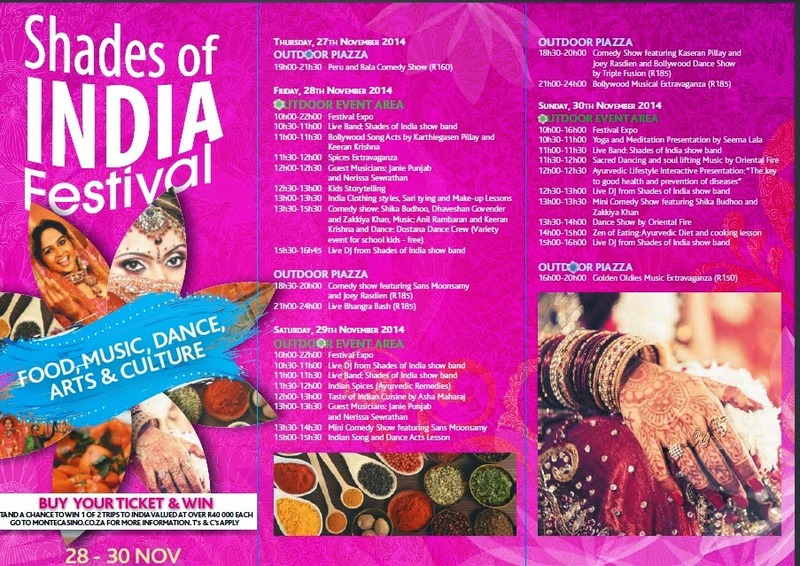 Shades of India festival will celebrate the many delights of Indian culture - the fire of the Tandoori, the myriad colors of delicate silks, mesmerizing dances, enchanting melodies, and off course, the glitz and glamor of Bollywood – to name just a few. Some of the activities on offer include cultural performances, fashion parades, food stalls, fashion stalls, virtual pyrotechnics and breathtaking fireworks. Indian culture forms an integral part of South African history, so TGS events takes pride in bringing its traditions and global appeal to all South Africans, and creating an opportunity for the community to grow and develop a strong legacy. Daily entrance tickets cost R100 for the open area, comedy shows (R160-R185) and the Live Bhangra Bash and the Saturday live concert at only R225. Children under 3 will be admitted free of charge. Tickets available at Computicket. Check out this information page. 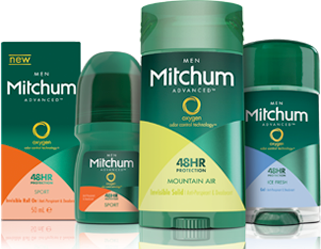 Mitchum has been in the market for more than 50 years offering the highest level of wetness-fighting active ingredients. The latest in Mitchum product series is their latest Oxygen Odor Control Technology to fight odour before it even starts. The latest products comes in stick solid, roll on and gel formats. Revolutionary Odour Control technology tagets and destroys Odour, neutralizing it all and giving you smell free body for nearly 48-hour protection from wetness and odour. Mitchum has launched a new logo and new packaging to give consumers a better delivery and experience. The product looks good and expensive with it's new packaging. Mitchum has also optimized the fragrances of the new line of products to include their most popular scents from around the world. The products have been dermatologist tested and are safe to use for all skin types. The men's scent include Clean Control, Sport, Mountain Air, Ice Fresh and Unscented. 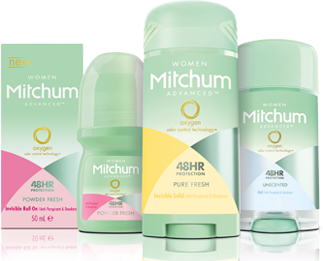 For Women, Mitchum offers Powder Fresh, Pure Fresh, Shower Fresh, Flower Fresh and Unscented varieties. Stick Solid is 76g and is retailing at R49.99 only. Roll on is 50ml and is priced at R34.99 whereas Gel is 63g and costs around R47.99. Based on your personal preference you can choose any of the formats for use and odour protection upto 48 hours. There is a contest running on their facebook page and website - GREAT MOMENTS AROUND THE WORLD worth upto R300,000. You can win a trip to Hawaii, Peru or New Delhi. Check it out and try your luck. As 2014 draws to a close, that special magic is starting to fill the air. Summer breaks, long days and warm nights, it’s all part of the truly South African yuletide traditions we celebrate! 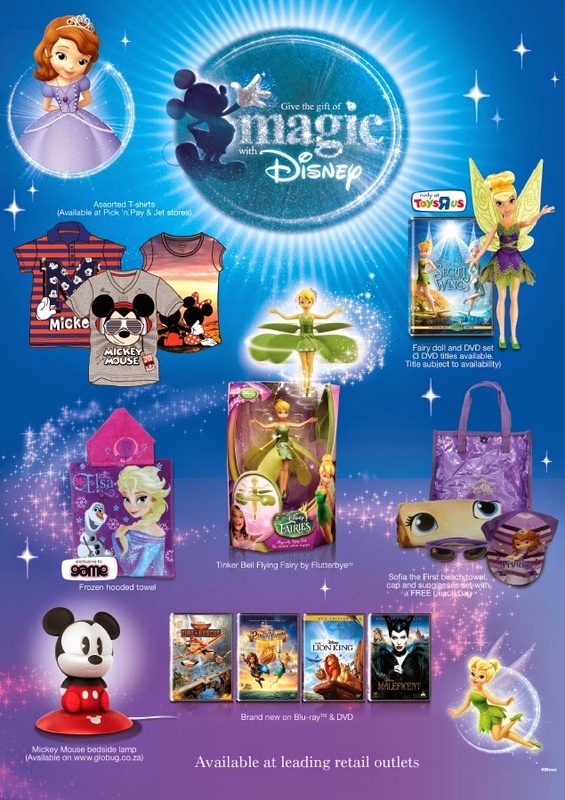 This year, Disney is joining in the celebrations by bringing together their biggest Festive promotion to date, Give the Gift of Magic with Disney, from 1 November through 31 December at leading retailers nationwide. 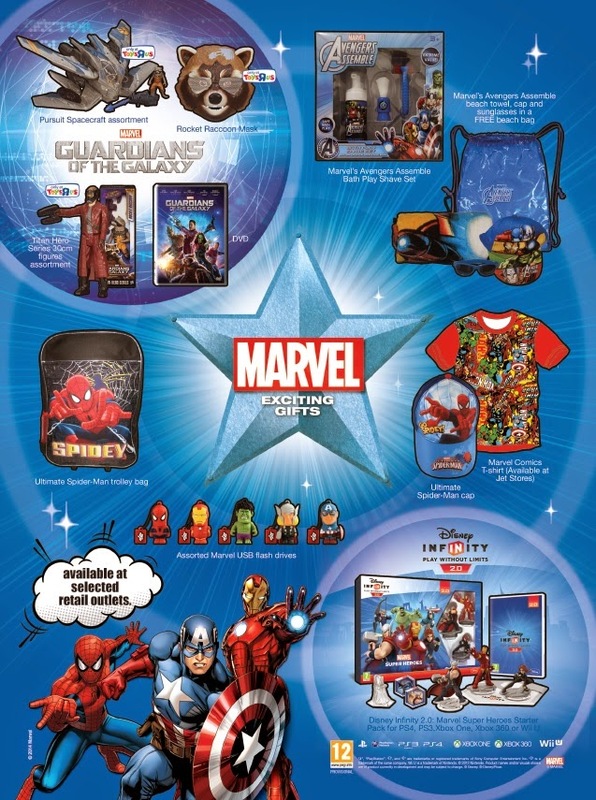 In addition to the Disney magic are the iconic Marvel and Star Wars brands, making this the perfect gifting solution for families this festive season. And so, from parent to teenager, from tween to toddler, the young or the young-at-heart, there will be a Disney memory, a Marvel adventure and a Star Wars saga waiting to be shared. Presenting a myriad of new and current releases, ranging from DVD/Blu-ray, gaming, music, video games, toys and so much more – there is something for everyone! This is the perfect opportunity for fans of Disney’s classic and contemporary memory-making-magic! Tinker Bell and the Pirate Fairy, the swash-buckling adventure from the world of ‘Peter Pan’ is brand new on DVD/Blu-ray and digitally in the South Africa iTunes Store (www.itunes.com) from 3 November. Christina Hendricks voices ‘Zarina’, a smart, but ambitious fairy who’s wild ideas get her into trouble. Tinker Bell and the gang are in for an adventure and go sword-to-sword with the scheming pirates of Skull Rock. The hit family film Planes: Fire & Rescue will land on shelves from 8 December on DVD & Blu-ray and digitally in the South Africa iTunes Store (www.itunes.com). When world-famous air racer Dusty (voice of Dane Cook) learns that his engine is damaged and he may never race again, he must shift gears and is launched into the world of aerial firefighting and learns what it takes to become a true hero. There’s great Disney products on shelves too. From Tinker Bell Flying Fairy by Flutterbye, Mickey and Minnie clothing, Sofia the First beach sets and Frozen hooded towels. Add to that some of the latest and greatest Disney and Disney•Pixar titles on DVD and Blu-ray – Wreck It Ralph, Wall-E, Mickey Mouse Clubhouse, Doc McStuffins, Saving Mr Banks, Brave, and so very many more. Be sure to get your hands on some brand new DVD and Blu-ray box sets, including John Carter/Prince of Persia, Buddies Box Set, Tangled/Frozen Box Set – the stocking fillers are sorted! From 24 November, the 2014 Summer blockbuster Guardians of the Galaxy blasts on DVD and Blu-ray. With the fate of the galaxy in balance, Peter Quill finds himself banding together with his ragtag rivals Drax the Destroyer, Gamora, Rocket Raccoon and Groot, to battle Ronan, a powerful villain with ambitions that threaten the entire universe. Be sure to check out the South Africa iTunes Store (www.itunes.com) to purchase Guardians of the Galaxy as well as the film’s 80’s-inspired Sound Track at an exclusive special price. In addition to this home entertainment release, there will be some great action figures, toys and apparel from the Marvel Universe, including the Avengers and Spider-man. Disney Infinity 2.0: Marvel Super Heroes is the perfect gaming platform for the whole family – featuring the Avengers, Spider-man and Guardians of the Galaxy, as well as some of the most iconic Disney characters, together with the innovative Toy Box, hours and hours of adventure lie ahead. Journey back into the Galaxy, far, far away this festive season! From 18 November, the exciting animated one-hour movie Star Wars Rebels: Spark of Rebellion will be released on DVD. This one-hour special ushered in the highly anticipated animated series Star Wars Rebels which debuted on Disney XD and fills in the story between the events of Star Wars Episodes III and IV, during a dark time when the evil Galactic Empire is tightening its grip of power on the galaxy. However, there are a few brave heroes who will stand up and start the rebellion! 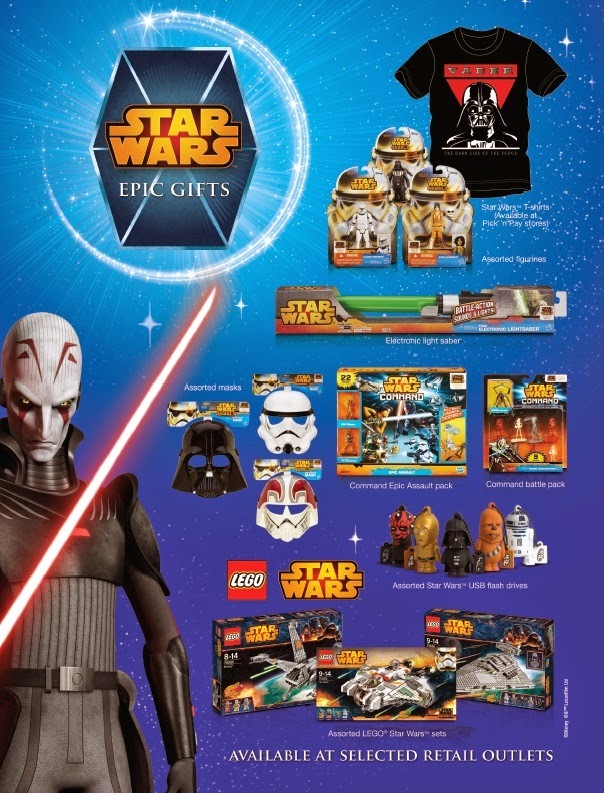 Collect the very latest Star Wars Rebels action figures and masks – and update your current Star Wars collections with items ranging from electronic light sabers, Lego and play sets. Surtee Group's launch of the first 7 For All Mankind store in South Africa took place on Tuesday, the 4th of November 2014. Surtee Group are the custodians of luxurious brands in South Africa for more than 50 years. The Joburg fashionistas and guests were introduced to the group’s signature stamp of quality and premium personalized service at the launch event in Sandton City, Johannesburg. 7 For All Mankind has become one of the world’s premiere denim lifestyle products since it's launch in Year 2000 in Los Angeles. The brand very quickly gained critical acclaim due to its innovations in fit, fabric and finish and is very popular amongst many Hollywood celebrities. The globally desired brand continues to grow and evolve, expanding its product line to include women’s, men’s, kids, sportswear, handbag and footwear collections. This is also because of their innovative collaborations and exciting partnerships with highly regarded designers such as The Great China Wall, Zac Posen, Azzedine Alaia, Evan Yurman and Pucci, which have allowed the brand to push the envelope of design and creativity. 7 For All Mankind continues to merge the worlds of denim and couture to redefine the fashion landscape. The brand is currently sold in its own retail stores, luxury department stores, and high end specialty boutiques in over 80 countries throughout the world and now in South Africa. The Surtee Group is well known for their exclusive brands. In their Grays stores they offer Ermenegildo Zegna, Brioni, Canali, Etienne Aigner, Façonnable, Stefano Ricci, Surtee Collection, GrosVenor and Raffaele Caruso. Further to this the Group also offers luxury brands including Hugo Boss, Dunhill, Mont Blanc, Timberland, Hackett, True Religion, 7 For All Mankind and Mama’s & Papa’s. Follow them on twitter @SurteeGroupZA ; @GraysLuxury ; @AasifSurtee ; @SuhailSurtee ; @Toyamac13 Check out the store in Sandton City in your next visit to the shopping mall. Samsung SA launched their flagship product GALAXY Note 4 in Cape Town, South Africa on 16 October 2014 after the launch at BERLIN and various other cities around the globe. Samsung is always the frontrunner in phablet technology and various features on these devices keeps people hooked for life. This year Samsung chose Execujet Hangers for the launch event in Capetown. Michael Mol and Gerry Elsdon were the MC of the event. The invitees and VIP guests were served with best drinks and food. People traveled from across Africa to see and to be part of this amazing launch event. S Y Hong, CEO and President, Samsung Electronics Africa introduced the GALAXY Note 4 to the crowd. He also presented some facts about the Samsung's growth in Africa from 79m in 2012 to 264m in 2016 (expected) which is more than 300% rise. George Ferreira, VP & COO, Samsung Electronics Africa took the guests through some of the amazing services offered by Samsung on it's mobile products. He reiterated the fact that 10% broadband penetration helps to grow GDP by 1%. Samsung is driving Africa's Digital Economy along with Enhancing lives by giving world class service and Apps. They launched some new apps like Opera Max, Box Office by DSTV, Samsung Galaxy Gifts, Collectiv amongst various others. Robert Ngeru, Vice President, Samsung Electronics East Africa took the esteemed guests and invitees through all the features of the new Note 4. Chris Hopkirk, Sales Director Mobile Communication, Samsung Electronics South Africa also showcased some of the features live on stage. Photo Note is the new way to take notes. This feature has really made the S Pen equivalent to PC mouse. Wide Selfie can take 120 degrees with just tilting the phone to one and other side to cover everyone in a large group. Chris even tried the same with the crowd present at the event. Rear Camera has been upgraded to 16MP with OIS and front camera is now 3.7MP with F1.9 to take better low light selfies also. The phone now comes with this amazing feature to be recharged to 50% of it's battery output in about 30 min. This is an significant improvement over Note3 which takes about 55 min for the same level of battery. Samsung Gear S was also launched to accompany Galaxy Note 4 by Paulo Ferreira, Director Enterprise Mobility, Samsung Electronics South Africa. Gear S is 2 inch curved Super AMOLED screen with 3G, Bluetooth and Wifi built into it. Gear S has GPS built into the same. More than 1000 apps have been made for Gear series including Nike+ app. Samsung Gear VR - Virtual Reality was also introduced which gives an amazing movie viewing experience. It will be launched very soon in the market. The screen that is used in this is your Note4 mobile phone and special videos created can be viewed to give a wholesome experience. Samsung has also introduced GALAXY Note Edge with a curved side to fast access your notifications and other stuff without disrupting the programs on the main screen. This is the most amazing and advanced thing I have ever seen. This will really help make your more efficient as you now don't have to see the full screen and only the marquee on the side of the screen. Thanks a lot to Samsung for sponsoring the trip to CapeTown and giving media a great time & opportunity to meet each other & Samsung higher officials at the venue. It felt so great to be a part of historical launch and looking forward to receive further invites. Follow them on twitter and facebook. Samsung Electronics South Africa launched their latest Galaxy phablet Note 4. They continued the trend of making powerful, sleek and intelligent devices packed with all the amazing features. In South Africa, GALAXY Note series is always launched in Cape Town and this time I was lucky enough to be at the launch event in the mother city. Dr. Michelle Potgieter, Director - Corporate Marketing and Communication welcomed all the media invitees and answered all the questions. In 2011, Samsung invented an entirely new smartphone concept with the Samsung GALAXY Note, igniting the trend towards phablets (phone and tablet blend). This 1.4 GHz dual core device ran Android Gingerbread, had an 8 megapixel camera, 5.3 inch WXGA HD screen and weighed a mere 178g. This was a huge risk but it paid off in the long run. The Samsung GALAXY Note 2 boasted an impressive 5.5 inch HD screen, Android Jelly Bean, a 1.6 GHz quad core processor and an improved battery life when it was launched in 2012. GALAXY Note 3 was an impressive 5.7 inches Full HD screen and the camera boasted 13 megapixels and the processor was 2.3 GHz quad core and weighted a mere 168g. 5 million units was sold in just one month of it's launch. One of the features that everyone really appreciate is the S Pen, as it maximizes the usability of the large screen and makes it even easier for the user to access features and functions on the go. The GALAXY Note 3 saw the arrival of the Air Command feature, whereby one can execute five major functions through intuitive taps and movements of the S Pen, as well as access to Action Memo, Scrapbook and Screen Write. This is what separates other phablets from Samsung's technology. GALAXY Note 4 has been launched with a powerful combination of productivity and performance, with a 5.7 inch Quad HD screen, 16 megapixel camera, Android KitKat, a 2.7 GHz quad core processor and an impressive battery life. This new phablet is compatible with the Samsung GEAR S, Samsung’s next generation smart watch, which extends the features and applications of the GALAXY Note 4 and allows the user even more flexibility and freedom. This time Samsung launched the Note 4 device with accessories in collaboration with Mont Blanc and Swarovski to suit the tastes of niche segment. Once you are hooked to big screen phablet and Note environment or ecosystem, you can never use any other product. Samsung Galaxy Note 4 is definitely a device to go for and I really wanted the same for myself asap. Follow them on twitter and facebook.